Spend about 15 minutes in the Broadway storefront, Relevant Goods, and you’ll realize there’s something extra special about the brick and mortar boutique. From one-of-a-kind pieces, to eye-catching antiques, to graphic tees making statements for positivity, you’ll instantly feel warm and optimistic in the space. Natalie Esquivel started printing on shirts when her son was born. 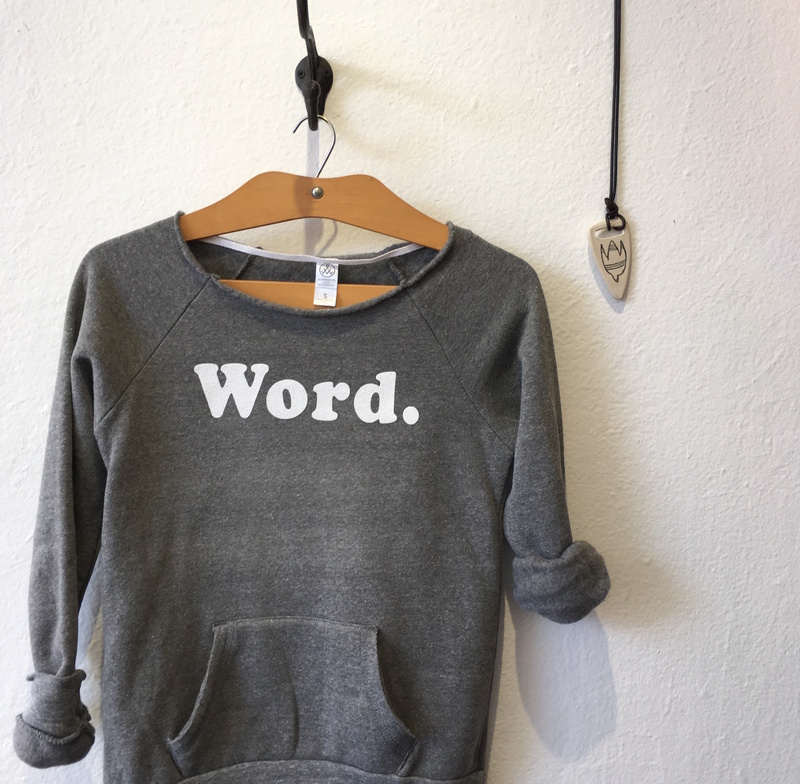 This passion project started on Etsy, escalated to more, and is now the uniquely dynamic shop located on the hip, historic strip. “I didn’t want any of the graphics to feel like they were preaching but, rather give a positive light. I feel like now more than ever the world needs these types of shirts,” Natalie states. And she’s right. 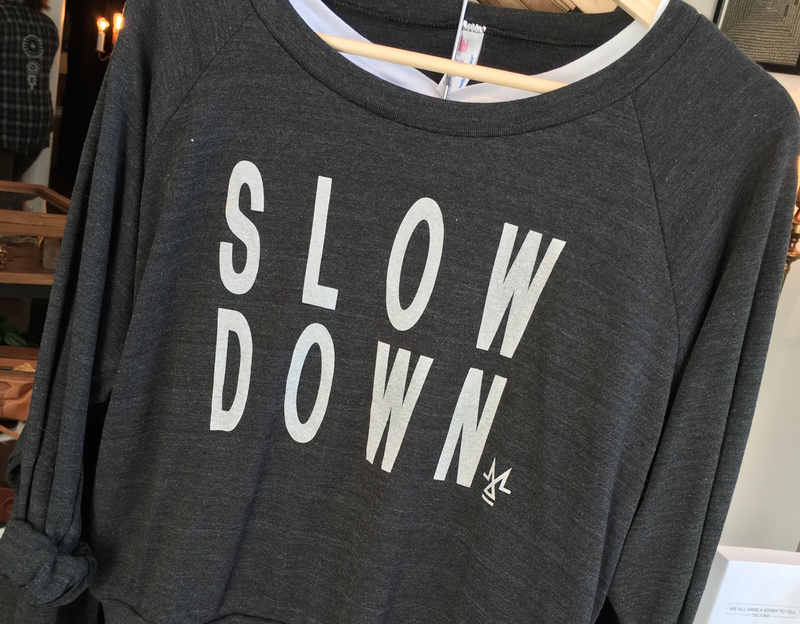 What’s better than a cutoff sweatshirt encouraging humans to slow down? It’s simple. It’s relevant. And although the idea for this brand began with these shirts, they are now a supplement to the overall appeal. 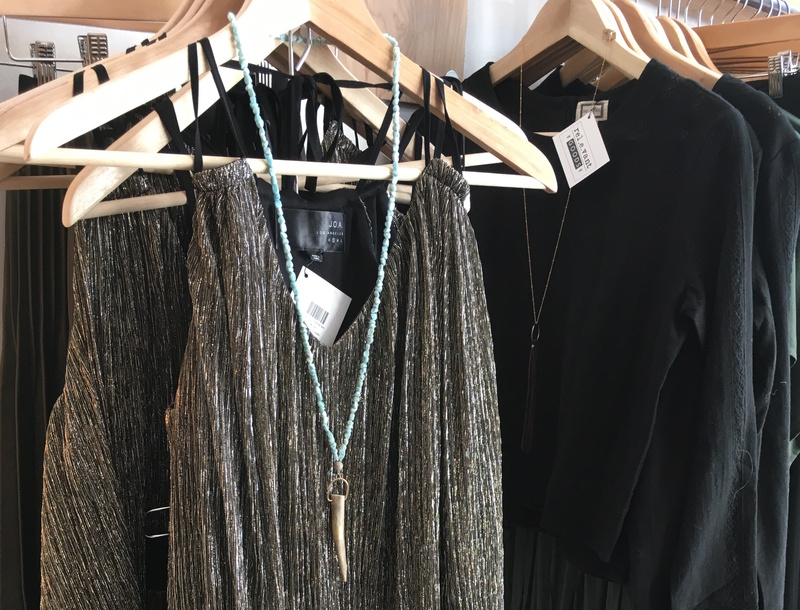 Pops of words are peppered throughout the shop floor, living among quality jeans, floral dresses, metallic tops, structured jackets and oh so much drool-worthy jewelry. It’s an eclectic, yet defined retail area for shoppers to devour. Best of all? The walls act as a gallery for women artists to display their work. The project is to validate female creative endeavors and expression. Natalie notes that it is not an exclusion of men, but rather an opportunity to empower women and inspire one another. So the next time you are strolling down Broadway, stop in and say hi. The visit won’t just be good for your closets, it may just enhance your soul. Next Post Evil Skewers, Correction, Ebelskivers!